Tip: Consider to define and use .dockerignore file for every Docker image you are building. It can help you to reduce Docker image size, speedup docker build and avoid unintended secret exposure. The docker build command is used to build a new Docker image. There is one argument you can pass to the build command build context. So, what is the Docker build context? First, remember, that Docker is a client-server application, it consists from Docker client and Docker server (also known as daemon). The Docker client command line tool talks with Docker server and asks it do things. 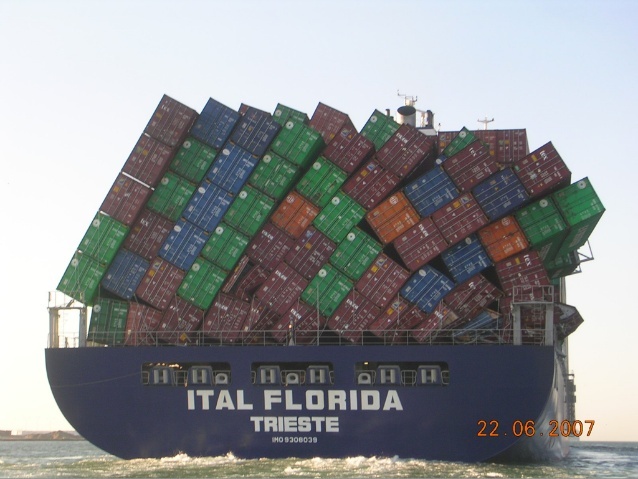 One of these things is build: building a new Docker image. The Docker server can run on the same machine as the client, remote machine or virtual machine, that also can be local, remote or even run on some cloud IaaS. Why is that important and how is the Docker build context related to this fact? In order to create a new Docker image, Docker server needs an access to files, you want to create the Docker image from. So, you need somehow to send these files to the Docker server. These files are the Docker build context. The Docker client packs all build context files into tar archive and uploads this archive to the Docker server. By default client will take all files (and folders) in current working directory and use them as the build context. It can also accept already created tar archive or git repository. In a case of git repository, the client will clone it with submodules into a temporary folder and will create a build context archive from it. This should make things clear. Actually, every time you are running the docker build command, the Docker client creates a new build context archive and sends it to the Docker server. So, you are always paying this “tax”: the time it takes to create an archive, storage and network traffic and latency time. Tip: The rule of thumb is not adding files to the build context, if you do not need them in your Docker image. The .dockerignore file is the tool, that can help you to define the Docker build context you really need. Using this file, you can specify ignore rules and exceptions from these rules for files and folder, that won’t be included in the build context and thus won’t be packed into an archive and uploaded to the Docker server. Indeed, why should you care? Computers today are fast, networks are also pretty fast (hopefully) and storage is cheap. So, this “tax” may be not that big, right? I will try to convince you, that you should care. The world of software development is shifting lately towards continuous delivery, elastic infrastructure and microservice architecture. Your systems are composed of multiple components (or microservices), each one of them running inside Linux container. There might be tens or hundreds of services and even more service instances. These service instances can be built and deployed independently of each other and this can be done for every single code commit. More than that, elastic infrastructure means that new compute nodes can be added or removed from the system and its microservices can move from node to node, to support scale or availability requirements. That means, your Docker images will be frequently built and transferred. When you practice continuous delivery and microservice architecture, image size and image build time do matter. Not controlling your build context, can also lead to an unintended exposure of your code, commit history, and secrets (keys and credentials). If you copy files into you Docker image with ADD . or COPY . command, you may unintendedly include your source files, whole git history (a .git folder), secret files (like .aws, .env, private keys), cache and other files not only into the Docker build context, but also into the final Docker image. There are multiple Docker images currently available on DockerHub, that expose application source code, passwords, keys and credentials (for example Twitter Vine). In this case, we’re copying the entire build context into the image. It’s also important to understand, that every Dockerfile command generates a new layer. So, if any of included file changes in the entire build context, this change will invalidate the build cache for COPY . /opt/myapp layer and a new image layer will be generated on the next build. If your working directory contains files that are frequently updated (logs, test results, git history, temporary cache files and similar), you are going to regenerate this layer for every docker build run. The .dockerignore file is similar to gitignore file, used by git tool. similarly to .gitignore file, it allows you to specify a pattern for files and folders that should be ignored by the Docker client when generating a build context. While .dockerignore file syntax used to describe ignore patterns is similar to .gitignore it’s not the same. The .dockerignore pattern matching syntax is based on Go filepath.Match() function and includes some additions. Note: Using the ! character is pretty tricky. The combination of it and patterns before and after line with the ! character can be used to create more advanced rules. This is a working draft version. The final post version is published at Codefresh Blog on December 8, 2016.